– 1/2.3 inch BSI CMOS sensor with 21.4 MP. 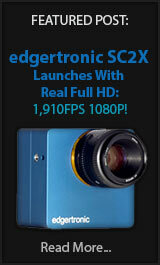 – 11.95 megapixel effective sensor res. – f/2.8 aperture 180 degree fish eye lens. – Intervalometer for Time Lapse. Dual Configuration back to back! – Circular fisheye (180 degrees) 3888 x 3888 photo or 1440 x 1440 30fps video. – 360-degree panorama: with the lens facing the sky – converts the image to a panorama with 7456 x 1864 photo or 2880 x 720 30 fps video resolutions. – a rectilinear fisheye 3232 x 2424 photo or 3840 x 2160 30fps video (4k). – a fully spherical 360 photo. This mode requires a second lens/sensor (FR100CA or FR200CA), positioned back-to-back and controlled from the body unit. Casio Translation: EX-FR100CA / FR200CA combination of two of the” in, you can manipulate the two cameras in one controller . Or carried out the shooting from a different point of view at the same time, to manipulate each at the timing of preference, still images and videos taken with two cameras, it is also possible to play at the same time in the controller.In addition, ” EX-FR100CA ” is, without a controller section, you can also be operated from the smartphone. 180 degree fish eye sample image! As you can see the Casio EX-FR200 Outdoor Recorder is no power house for higher frame rates but good that it includes them as options. 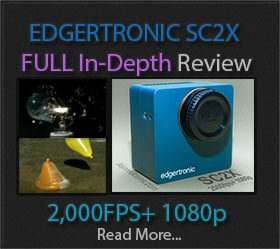 However 720p is too low a resolution for a 180 degree field of view or 360 degree video panoramic. Any VR headset will look soft and aliased in such a low resolution mode. VR really screams for 4k and above to get rid of the wrap distortion once the footage has been stitched and processed. However 4k video at 120fps on a 360 degree platform is as of yet extremely high end and expensive by pairing two fish eye lenses on a 4k capable camera that can do higher frame rates. And we would be hard pressed to find something small that does that. 30fps is for now the maximum frame rate on action cameras at 4k. There are rumors of GoPro Hero 5 having 60fps 4k but still a long ways off the 120fps needed to start seeing great slow motion of daily occurrences.